This entry was posted on Saturday, August 26th, 2006 at 10:31 am	and is filed under Uncategorized. You can follow any responses to this entry through the RSS 2.0 feed. You can leave a response, or trackback from your own site. Ayayayayay! 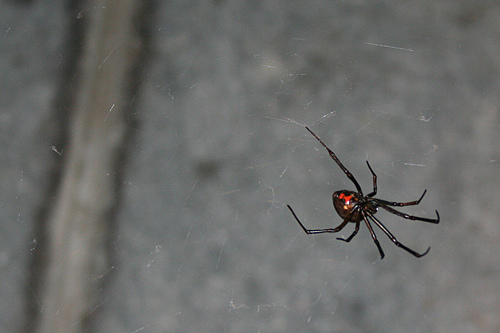 A black widow! Scary! I don’t want to be bitten by that! That icky spider would definitely be 15 times as venomous as the prairie rattlesnake! Mama mia! if you have those things running around your place, im never going there again!